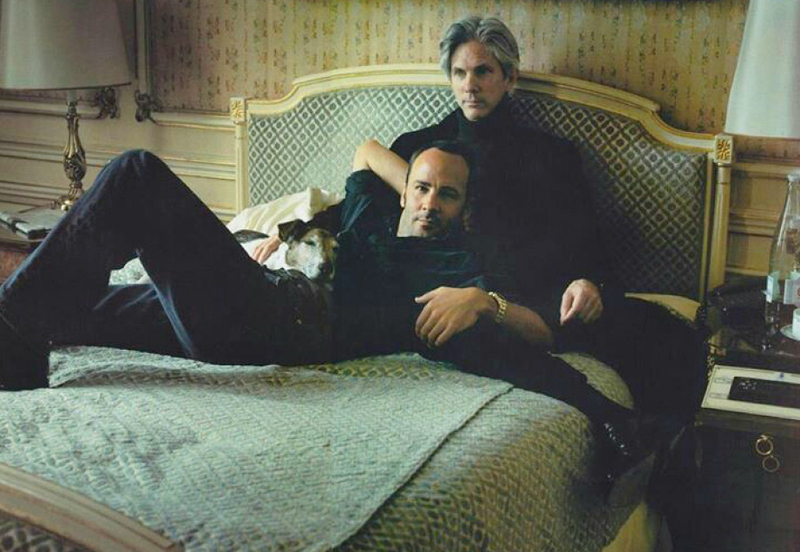 One of my all-time favorite interviews with Mr. Ford was published in the February 2011 Love Issue of OUT Magazine. It was a very candid, very personal and very moving look at the real man… the man behind the designer. The man behind the brand. The man in love with Richard Buckley. It was a retelling of their love story, from both of their individual views, and it was amazing. You can read the full story here, but my favorite quotes are below. In February 2011, Mr. Ford and Mr. Buckley had been together for 24 years. On September 23, 2012, their son, Alexander John Buckley Ford, was born. On April 7, 2014, during an interview at the Regent Street Apple Store in London, Mr. Ford shared that he and Mr. Buckley, now together for over 27 years, are married. Congratulations Tom and Richard. May your love continue to grow and bring you happiness always.